Did you know that there are kids IN OUR COMMUNITY that don’t have access, for one reason or another, to proper nutrition? During the week, when kids attend public school, they get a hot lunch. And, there is a program in Frederick County Public Schools (FCPS), called Free and Reduced Meals, that kids/families who meet the income guideline requirement can enroll in, so that these kids can also get breakfast at school. But, although the children are fed in school, lunch on Friday is often their last full meal before returning to school on Monday morning. What do they do on the weekends? Unfortunately, that’s where some kids’ nutritional needs stop getting met. 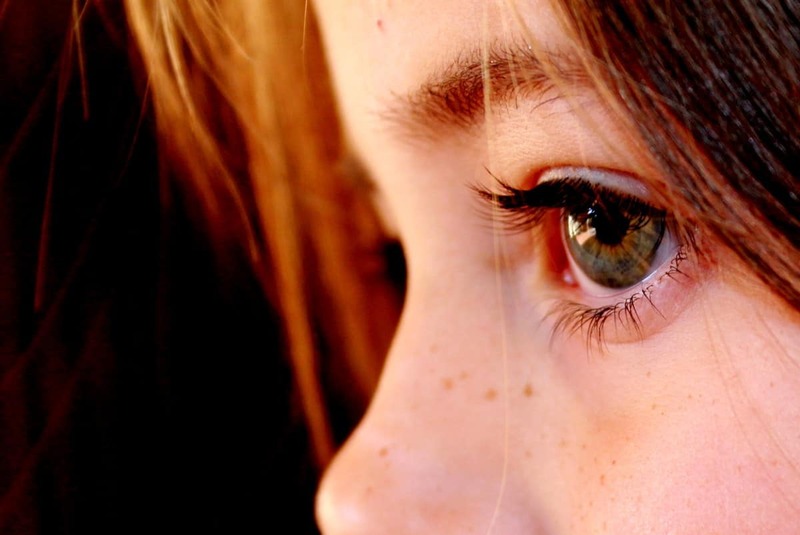 Thank goodness, most of us have no idea what it must feel like to go hungry involuntarily. You know that Snickers commercial where there’s a person that’s hungry, and it starts out that it’s a completely different person than who they really are? Once they take a bite of their Snickers bar, they turn back into their true self. Here in our community of Frederick, Maryland, we have an active chapter of BiaB led by program coordinator, Hermine Bernstein! 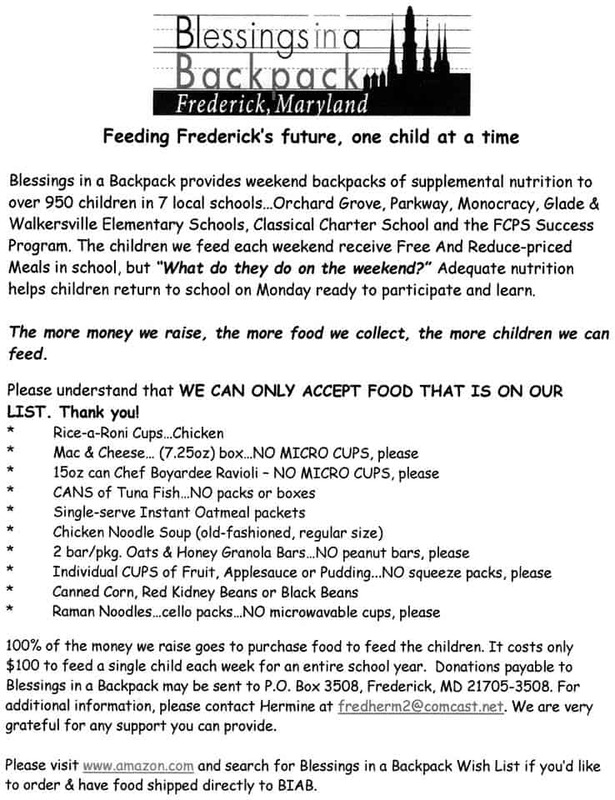 Backpacks filled with food are given to children in need at their schools on Fridays (Orchard Grove, Parkway, Walkersville, Monocacy, Glade, Classical Charter, and the FCPS Success Program). It costs only $100 to feed a child every weekend for an entire school year – 100% of the money is used to buy food to feed our local children. Check out the Frederick BiaB’s Facebook page for more information, and ‘like’ it so you can stay in the loop for future events, volunteer and donation opportunities! One way to contribute to this great cause has been created by The LeBlanc Family, owners of Echo Consignments, here in Frederick. They host regular Bingo events that help raise money for BiaB! These Bingo events are extremely popular, and are usually American Girl, Lego and/or Star Wars-themed! 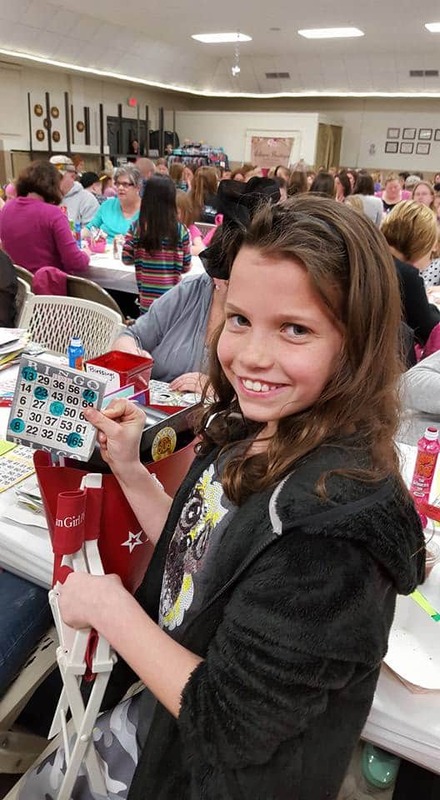 The next one (that hasn’t been sold out yet) is Bingopalooza- Star Wars & American Girl Bingo Blow-out that will take place on Saturday, March 5, 2016 at 6pm at Lewistown Firehall in Thurmont. It’s Bingo fun for the whole family! This event will help raise money for Blessings in a Backpack! Players will have the opportunity to win Star Wars or American Girl prizes. Concessions will also be available. An advance ticket gives you access to 10 games and 5 specials games that include larger prizes. Players of all ages are welcome, but all attendees must have a ticket! Presale tickets are $15 and tickets at the door are $20. you will get a buy-one-get-one-free deal! ‘Like’ Echo Consignment’s Facebook page so you will stay in-the-know on these regular events, along with all of the other fun stuff they do on their page! So, get your lucky charms ready, use the code to buy your tickets for the Bingopalooza on March 5th, and feel great knowing that you are contributing to a great cause – feeding our community’s children in need with Blessings in a Backpack! I didn’t know anything about this–what a great cause! Thanks Terri! We are so honored to be able to help spread the word about this great organization! There are lots of opportunities to join us in feeding as many local children as possible. Currently we’re feeding over 950 kids each weekend at 7 local schools…with your help, we plan to add 500 more children in 2016. 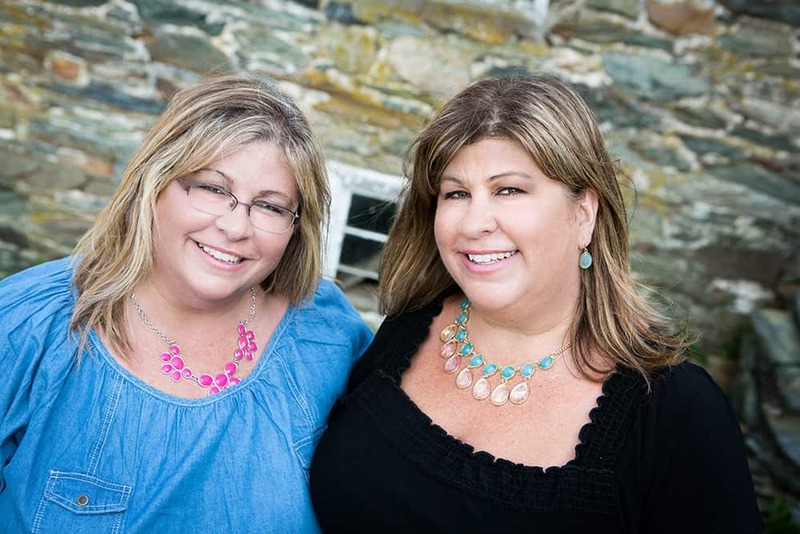 Great info – thank you so much! !